Are you struggling in getting more deals and making more sales? SalesMate, an all-in-one sales management software for businesses of all sizes. Every company can benefit from sales intelligence. 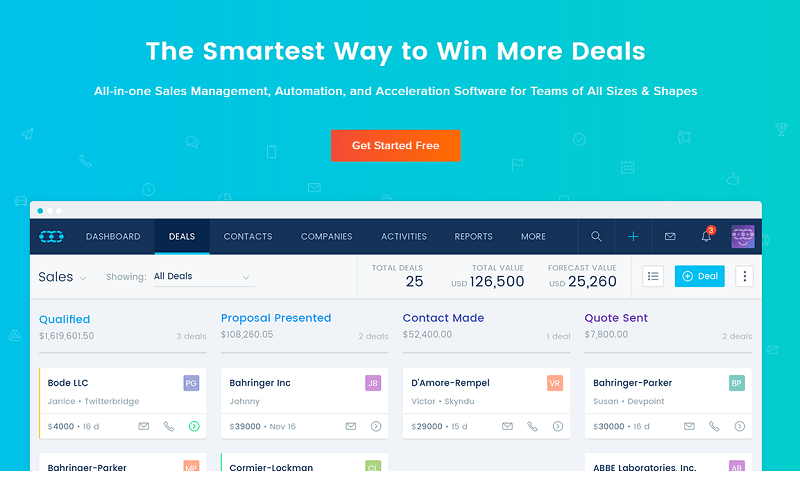 SalesMate helps you close more deals faster, with an easy to use interface and automated workflows. Use this tool to enrich your customer interactions and boost sales productivity with data science. integration with 500+ apps with Zapier. But now, let’s see some of them in details. You don’t have to use anymore ugly spreadsheets, instead, benefit from an intuitive sales pipeline that follows your business strategy. Be practical with your sales activities and close more deals in a consistent way. You will be able to quickly add, manage and track activities, as well as monitor the progress of each person in the team in real-time. 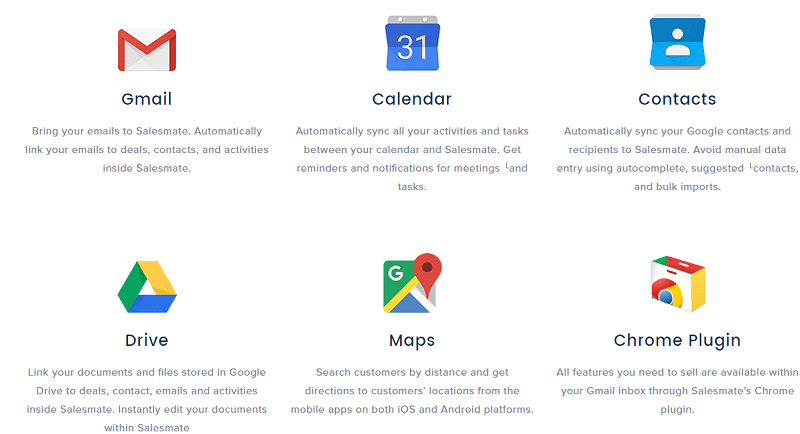 You can use Salesmate to plan ahead activities, track your team and automate your sales process steps. For example, plan and track your meetings, calls or emails for every contact. Manage the work of each team member by easily assigning activities. Be updated on past and future actions for each deal using the built-in sales management tools. Setting goals is really important in a business. It’s the first step when you want to turn your sales target into a tangible plan. Synchronize your sales team with clear goals and measure them at any time. Turn the sales into a game to find the most performing seller in your company. SalesMate will be a powerful weapon to beat your competition and motivate each person in your team to always improve. 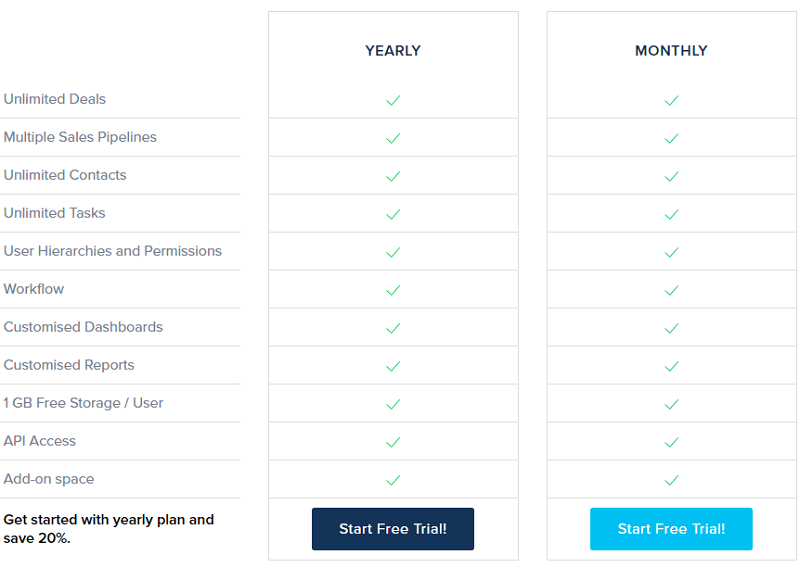 Imagine if you could understand each of your prospects through email tracking, sending a perfect follow up in seconds to get more emails opened, meetings scheduled and deals won. 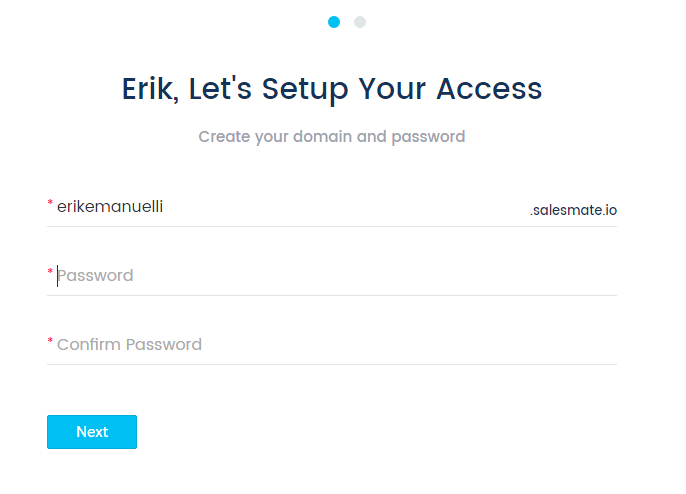 Thanks to SalesMate you will be able to do this! And even more. Automate your sales playbook and save time by creating engaging emails using professional email templates, tracking and organizing every conversation. By measuring your email performance, you will be able to improve the sales process. While open rates are going to help you understand which subject works best with your clients, the clicks will tell you more about the popularity of your content. Use the BCCs to logging your email conversations without any efforts. Whether you are using Gmail or any other email provider, you simply need to forward your email to the personalized smart BCC address to add them to the relevant timeline. Then Salesmate will automatically recognize the involved recipients to attach the emails with the right deals or contacts, in real-time. Also, you can send emails with your address or personalize email address for each record. Automate your workflow and set your sales process on autopilot. Also, SalesMate can do for you a series of low-value tasks, saving a lot of time. For example, enrich your profiles. Do you spend time searching on the internet the missing information for each of your new customer profiles? Salesmate can free you up from this tedious task, by enriching every single customer profile automatically. Spend more time sending emails, making calls and taking actions, not logging them manually. Everything you do in Salesmate is simple and without effort to automatically track the respective deals. Improve your complete sales funnel by using interactive, pre-built, and customizable sales reports. Use data to eliminate guesswork and make smart decisions. Other than using professional and insightful sales reports, you can stay informed about your sales growth, also measuring the entire sales funnel from lead to closure. Use sales forecasting insights to spot the problem early on and direct your team’s focus toward the deals that are more likely to close while time is still on your side. Improve your sales performance with activity insights. For example, understand the number of emails sent, calls made, and meetings held for each month. You can then use these insights to improve your sales process, training, and messaging. Coach your people to close more deals faster. And the best part is that all activities are automatically tracked for you. Use SalesMate on your tablet or smartphone. The iOS and Android mobile sales apps give you everything you need to keep selling no matter where you go. When you call your customers from your mobile phone, your call will automatically be tracked in Salesmate. Incoming customer calls can be tracked too. All meetings and tasks are synced with your mobile calendar. Tap on addresses to get directions on your native GPS apps. Salesmate is built to perfectly work with thousands of applications and platforms. I signed up with my Google+ account to make the process faster. Now you can access to all SalesMate features for your testing. $15 monthly, if billed each month. More than 1200 sales teams use Salesmate to increase their top line. I find this software easy to understand and simple to use. The drag and drop system is fun and practical. I definitely recommend it to any businesses of all shapes and sizes to boost sales and make more deals. Here‘s the page of ticket system for any particular request and here is the knowledge base page to dig even further. 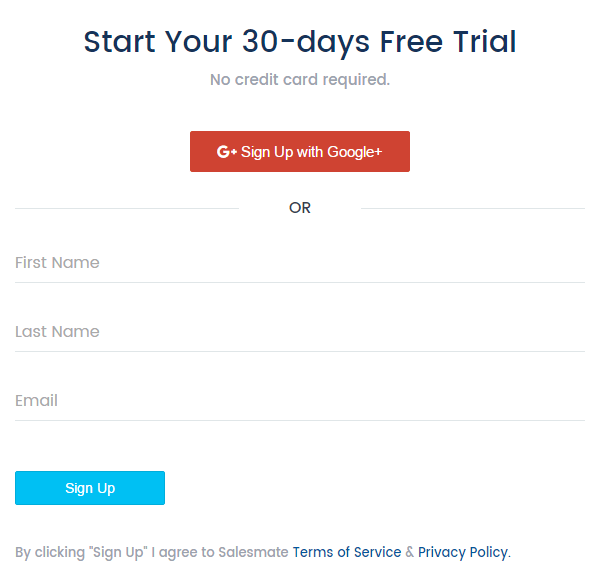 Get your free account here and start your trial right now! Have you ever heard of SalesMate? I’d love to hear what you think. SalesMate looks promising and worth the investment. It becomes a tedious job to maintain the spreadsheet for sales and get helpful insights manually. I would probably buy it in the upcoming weeks. Thanks for checking out SalesMate, Shafi. Give it a go and let me know! Great post to read ,your article is really informative for increasing the sales of the business as without sales no business can survive, I really loved the concept of this software and your way of presentation in the article is so good that it makes your article very much discriptive. I will surly give a try to sales mate. Thank you for shaing such an informative article. Thanks for the awesome post Erik. Is it possible to write a guide about how to best use Salesmate in the future? Or do you feel it’s pretty simple to learn? It’s really easy to use, Brent. You should give SalesMate a try. Let me know how it goes! Salesmate is great for a sales team that is trying to take the lead and close it faster by enabling faster communication and automation. Most important about it that, available as an application for IOS and Andriod making it easy to grow your prospects while you are networking at events. Creating Tasks, Follow Up Dates, Email Tracking, Pipeline Management and Sales Forecasting are really great features offers by it. Salesmate is easy to use and will enable your sales team to close deals faster. Eventually, thanks for sharing your thought with us. Yes Gaurav this post is really informative and helpful. I also gain lots of knowledge about Salesmate. Now, I believe, I can generate leads and conversion on my website as many doubts also clear from my mind after reading this post. Thanks for sharing this informative article Erik. Great post! Thanks Erik for sharing so much. It is useful tool so I can’t wait to try to use it now!